We are honored to offer quality and affordable auto, home, and business insurance all across the state of Florida. At Lock Insurance, we are able to provide you with the insurance that fits your needs or your business’s needs. With over 38 years of combined experience, our experienced staff will be able to set you up with your insurance needs today. 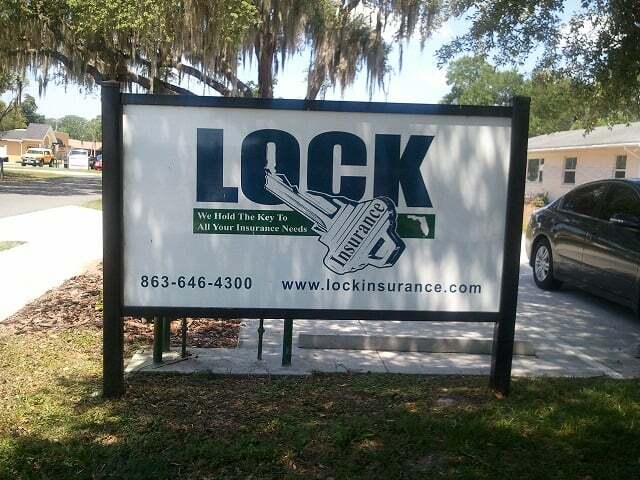 Please give Lakeland based insurance company Lock Insurance a call today at 863-646-4300 for a free insurance quote! With a population estimated at around 100,000, Lakeland is the principal city of the Lakeland-Winter Haven area and a great place to live. And Lock Insurance is one of the best Lakeland insurance companies, offering a wide variety of insurance policies that can be custom catered to your needs. Lock Insurance offers a wide variety of insurance possibilities. Our home insurance options include homeowner insurance, landlord insurance, renters insurance, vacant land insurance, condo insurance, property insurance, and vacant home insurance. Our business and commercial insurance allows you the piece of mind of knowing your company is covered in regards to property, liability, and workers’ compensation. We offer insurance that covers a variety of your transportation needs, from cars to motorcycles to boats. Our auto insurance covers many different types of coverage, including bodily injury liability, medical payments or personal injury protection, property damage liability, collision insurance, comprehensive insurance, and uninsured motorist coverage. Finally, we also offer life insurance, which can help with your surviving dependents and final expenses, protecting your loved ones from financial hardships, paying off loans and other debts, retirement, securing your assets from liabilities and litigation, and lifetime income. We offer both term life insurance and whole life insurance, as well as health insurance. Lock Insurance can offer you an insurance quote for any of the plans listed above, whether by phone or online with our quick quote option. Our representatives have over 38 years combined experience, and are dedicated to providing you with the best insurance at the lowest price possible. So call today and head on your way to worry free insurance in Lakeland, Florida! No matter what kind of insurance you’re looking for, Lock Insurance has you covered. As one of the top Winter Haven insurance agencies, we offer a wide variety of policies so that we can cater directly to you. Our primary duty is to our clients, and we do our best to provide the highest quality of care, working quickly and efficiently on your behalf. Protect yourself in all walks of life with Lock Insurance. While we focus our energies in providing you the finest in Home Insurance, Auto Insurance, Business Insurance and Life Insurance in Winter Haven, we do more than just the basics. We offer landlord insurance, flood insurance, and everything in between, so while you’re in our hands, there is no need to Insurance Agent in Winter Haven, Floridaworry. This the county seat of Polk County. There are a lot of historic homes in Bartow. While we focus our energies in providing you the finest in Home Insurance, Auto Insurance, Business Insurance and Life Insurance in Winter Haven, we do more than just the basics. We offer landlord insurance, flood insurance, and everything in between, so while you’re in our hands, there is no need to worry. Fort Meade, Florida is located in Polk County, with a population of just under 6,000 recorded in 2004. Its origins began in the mid 1800’s as a stop on an old military road between Tampa, the location of Fort Brooke, and Fort Pierce on the other coast. It is located within the Central Florida Highlands area, and sports a humid, subtropical climate. Its economy is going strong, as it plans to open Streamsong, a 10,000 acre world class resort in 2013. The resort will feature fine dining, a full service spa, two golf courses and retail shopping. Moving to the Fort Meade area now may be a great idea, as more and more business will be pouring into the area. If you are moving to the Fort Meade area, it is important to find an insurance company you can trust to help you make the best decisions and get you the best rates for all of your insurance needs. The representatives at Lock Insurance have more than 38 years of combined experience in insurance industry experience, and can help you figure out which plan is right for you as well as what kind of insurance you need, as there are so many options. Lock Insurance deals with almost all insurance types, not just the usual life insurance and health insurance. For home properties, Lock deals with homeowners insurance, landlord insurance, renters insurance, vacant land insurance, condo insurance, property insurance, as well as vacant home insurance. For your business we also have you covered with property, liability, and workers’ compensation insurance. You also need to insure your vehicle as you travel from your home to work, which is why Lock Insurance offers a variety of auto insurance policies, as well as other vehicle insurance policies including motorcycle insurance, boat insurance, ATV insurance, and more. Gainesville is known as the home to the Florida Gators, but in reality it is so much more. It is the county seat and largest city in Alachua County, and home to not only the sixth largest university campus by enrollment, the University of Central Florida, but also Santa Fe College. There is a low cost of living in the area – restaurants in the area tend to be inexpensive, as are the cost of homes, although property taxes are often high to counteract the fact that the university land is exempt. The city also promotes solar power, allowing small businesses and homeowners to supply electricity into the municipal power grid in order to receive a favorable tariff. So if you are interested in living green, and being a part of a highly educated center, living in Gainesville could be a good option for you. Finding the best insurance rates when you move to Gainesville is a top priority, and you should find a company that you can trust when making the decisions. Lock Insurance offers a variety of insurance types, including not only the typical life insurance and health insurance, but also insurance for every aspect of your business, like property, liability, or workers’ compensation insurance. They also carry a variety of insurance to cover your home, too, including homeowners insurance, landlord insurance, renters insurance, vacant land insurance, condo insurance, property insurance, and vacant home insurance. Finally, they can even insure the vehicle you – and not just your car, either, as they offer motorcycle, boat, and even ATV insurance on top of car insurance. With more than 38 years of combined experience, Lock Insurance’s representatives are more than capable of helping you make the right insurance decisions. A lot of phosphate mines in Mulberry. Highway 37 and Highway 60 intersect in the middle of town.No matter what kind of insurance you’re looking for, Lock Insurance has you covered. As one of the top Winter Haven insurance agencies, we offer a wide variety of policies so that we can cater directly to you. Our primary duty is to our clients, and we do our best to provide the highest quality of care, working quickly and efficiently on your behalf. Protect yourself in all walks of life with Lock Insurance. With more than 10,000 residents, Sebring, Florida, is a relatively popular city in Highlands County, Florida, and is the principle city of the Sebring Micropolitan area. It was founded in 1912, and is home of the Sebring International Raceway, which was created on a former airbase. First used in 1950, the Sebring International Raceway is known historically for holding the 1959 Formula One United States Grand Prix, and is currently known as the hose of the American Le Mans Series Race 12 Hours of Sebring. As Sebring is the largest city in its municipal area, it is home to a few radio stations and receives televised programming from the Tampa, Orlando, and Fort Meyers Areas. It is home to a few local newspapers as well. It has many opportunities for those who want a great new city in the central Florida area to live in. Whether you want to become a permanent resident of Sebring or decide to buy or rent a vacation home there, you will need some sort of insurance to rest assured that you and your home or property is safe. The employees of Lock Insurance have more than 38 years combined experience working in the insurance industry, and will try their best to match you with the best insurance that fits your needs and that is also affordable. We have business insurance if you choose to run an operation in Sebring, including liability insurance and commercial property insurance. For your home, we have homeowners insurance, renter insurance, landlord insurance, rental insurance, and condo insurance, and for you we have both health insurance and life insurance. Our vehicular insurance will protect you no matter what you choose to drive, with auto insurance, boat insurance, truck insurance, RV insurance, motorcycle insurance, and ATV recreational insurance available. Lake Wales, Florida, is located in central Florida, west of Lake Kissimmee and east of Tampa in Polk County. With a population of approximately 12,000 people, Lake Wales is known for its humid, subtropical climate, and open spaces. It has the Grassy Lake Preserve, with 185 acres of land. One of the most notable attractions in this area is the Bok Tower Gardens, a botanical garden and bird sanctuary. The Singing Tower is the centerpiece of the garden, featuring a Gothic Revival and Art Deco tower with a 60-bell carillon. For those who are fans of Halloween and other spooky festivities, Lake Wales is also home to Spook Hill, an optical illusion that makes it appear as if cars in neutral are traveling uphill. Lion’s Camp is located in Lake Wales as well, a non-profit camp for visually impaired children. It hosts a haunted trail every year, with volunteers coming from around Florida to host a scary show. Besides these attractions, Lake Wales is the perfect place to retire, as it features three retirement villages both inside the city limits and just outside, called Tower Lakes, Saddlebag Lake Resort, and Indian Lakes. If you are considering the big move to Lake Wales, Florida, you should find a proper insurance policy to fit your needs. With 38 years combined experience, the insurance representatives at Lock Insurance will try to find you the best policy at the lowest possible rate. They are dedicated to answering your questions via our online quote system or over the phone, and know about a wide variety of insurance types to fit your needs. Lock Insurance carries everything from term life insurance to health insurance, s well as insurance policies for your business, such as property, liability, and workers’ compensation insurance. They carry a wide variety of transportation-based insurance types as well, including insurance for your boat, car, motorcycle, or even RV. Home insurance covers a variety of properties that you can find in Lake Wales, including homeowner insurance, landlord insurance, renters insurance, vacant land insurance, condo insurance, property insurance, and vacant home insurance. Polk City is an out of the way hidden gem in the Central Florida area, with just over 1,500 citizens listed in 2000. Located in the Lakeland-Winter Haven area, it is known as holding the epitome of small town life, with tee-ball, little league, and wildlife endeavors (such as fishing) ranking high on the list of extracurricular activities. But just because it is a quintessential small town does not mean it does not mean its residents do not face the same problems as other people. Lock Insurance wants to help put your mind at ease. With a staff with over 38 years combined insurance experience, we strive to offer you the best service and best coverage at the best possible price. Our representatives can provide you with a quote over the phone or through our online system. We specialize in a wide variety of insurance types. Concerned about your health and protecting your loved ones? We have health insurance and life insurance. What about your business? We have business insurance, commercial property insurance, general liability insurance to keep you and your employees safe. Traveling? We offer auto insurance as well as truck, boat, RV, motorcycle, and ATV insurance. And one must always protect their home – we have home insurance, renters insurance, landlord insurance, condo insurance, and flood insurance that can be customized to fit your needs. We offer 24 hour a day, 7 day a week claim service so that if something happens you’ll receive the best possible compensation as quickly as possible. Polk City might be small in both size and population, but Lock Insurance is here to make sure that it is protected from any harm that might come to its residence. Call us today to find out what we can do for you! Auburndale is located in the Lakeland-Winter Haven Metropolitan area with more than 13,000 residents, and is considered a part of the Tampa and St. Petersburg market when it comes to things like television. Despite the fact that it has more residents than many other rural areas, Auburndale remains a great growing city with the right hometown quality. IT is growing in business, industry, education, as well as sports and recreation. Whether you are a new resident to Auburndale or have been living there for awhile, it is important to have the proper insurance to keep your home, business, vehicle, and even yourself or your family safely insured. The insurance experts at Lock Insurance have more than 38 years experience in the insurance industry, and can help you decide what the best insurance is to fit your needs. They provide home insurance, but don’t just stop there, also offering landlord insurance, renters insurance, vacant land insurance, condo insurance, property insurance, and vacant home insurance. If you own your own business, Lock Insurance can help as well, with business, property, and workers’ compensation insurance. And for your travel needs, they provide not only the typical car insurance, but also motorcycle, boat, and ATV insurance. Finally, they also help you pick the right life insurance or health insurance. With all the major freeways and over passes in Hollywood Florida we have great car insurance rates. Whatever kind of insurance you’re looking for, Lock Insurance has you covered and we will save you money! As one of the best Davenport insurance offices, we offer a wide variety of insurance policies so that we can cater directly to your needs. Our primary duty is to our clients, and we do our best to provide the highest quality of care, working quickly and efficiently on your behalf. Protect yourself with Lock Insurance. While we focus our energies in providing you the finest in Home Insurance, Auto Insurance in Davenport, Business Insurance and Life Insurance, we do more than just the basics. We offer landlord insurance, flood insurance in the four corners, and everything in between, so while you’re in our good hands, there is no need to worry. Dundee, Florida, is located in the Central Florida area in Polk County, with a population of just over 3,000 people in 2004. Dundee looks largely to the citrus industry for its wealth, and the rolling hills of its land, right off the Lake Wales Ridge, are filled with a mixture of new and old subdivisions and a wide array of residents. If you are already a resident of Dundee or are considering moving there, it is important to meet your insurance needs on a wide variety of levels. With more than 38 years combined experience, the members of our insurance team are here to help the residents of Dundee protect themselves, their property, and their families. Our customer service representatives want to work with you to find the best service and best coverage and the best price available to suit your insurance needs. You can call today to speak to one of our friendly agents one on one, or apply for an instant quote right here on our website. Our customer service representatives pride themselves on taking care of our customers, and our claims service is ready to help you 24/7 with claims service! We cover a whole wide array of insurance needs – whether you own a home or rent (or are even renting out your own home! ), our home insurance, renters insurance, landlord insurance, condo insurance, and flood insurance can meet your needs. Own a business in Dundee? Our agents can set you up with business insurance, commercial property insurance, or general liability insurance to protect you and your employees. And whether you travel by land or by sea, we have you covered withauto insurance, truck insurance, boat insurance, RV insurance, ATV insurance, and motorcycle insurance. Finally, Lock Insurance also has many health insurance and life insurance plans to meet your needs. So get a quote today and help put your mind to rest. Tavares, Florida, is located in central Florida within Lake County, with a population of more than 13,000 residents. It was founded in 1880 by Alexander St. Clair-Abrams, a railroad man, and named for one of his Portuguese ancestors. Although he did not achieve his goal of Tavares becoming the state capital, it did become the county seat of Lake County. Now, it is home to many retirees, as the average age of Tavares residents is 56, and 65 up is the largest represented age group. If you are moving to Tavares to start your retirement, start a new job, or even start your own business, you will want to make sure you have the right insurance. Lock Insurance deals with all sorts of insurance in the generalCentral Florida area, and its agents have more than 38 years experience in the insurance industry, making them the perfect candidates to lead you through the perils of choosing Tavares insurance. Whether you need health or life insurance, or something more, they have you covered. For your home or other residential property, Lock Insurance can help you find a plan with homeowners, landlord, renters, vacant land, condo, property, or vacant home insurance. For your business they also offer property insurance, as well as business insurance and workers’ compensation insurance. Finally, for vehicles, Lock Insurance not only covers cars but also ATVs, motorcycles, boats, and more. Haines City, located in Polk County, is sometimes referred to as the “Heart of Florida”, and is a great place to live, work, and play, with a quaint historic downtown and plenty of parks and wildlife. 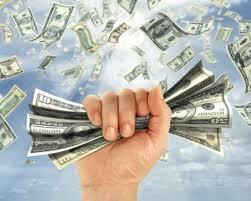 Lock Insurance offers you the best in insurance rates from many major insurance groups. 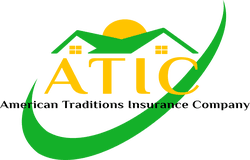 We carry not only home and commercial insurance, but also car insurance and life insurance. Our home insurance comes with a variety of options, including home owner insurance, landlord insurance, renter insurance, vacant home insurance, vacant land insurance, condo insurance, and property insurance. Or, if you are running a business and concerned for its coverage, we have business insurance and commercial insurance that allow you the piece of mind of knowing that your company is covered in regards to property, liability, and workers’ compensation. Our auto insurance protects against bodily injury liability, medical payments, personal injury protection, property damage liability, and collision insurance. We also offer a wide variety of other transportation insurance options, including plans for motorcycles, ATVs, and even boats. We carry health insurance as well as term life insurance and whole life insurance, which can help your surviving dependants with final expenses, protect your loved ones from financial hardships, pay off loans and other debts, assist with retirement, secure your assets from liabilities and litigation, and help maintain your lifetime income. The staff here at Lock Insurance has more than 38 years combined experience that will help you find the best insurance at the lowest rate possible for you, your family, your vehicle or home. Are you from Leesburg? With a population of more than 20,000 and growing, Leesburg is part of the Orlando-Kissimmee Metropolitan Statistical Area. If you live in Leesburg or any of the surrounding areas, you want to make sure you have an insurance company that you can trust with all of your needs. Lock Insurance Company could be the right choice for you. Family owned and operated, Lock Insurance’s first and foremost goal is to provide our clients with the best service and the best coverage at the best prices. Our customer service representatives can provide you help with a large variety of insurance needs. We have auto insurance, boat insurance, truck insurance, RV insurance, motorcycle insurance, and ATV recreational insurance if you are interested in the traveling life, or enjoy recreational outdoor activities. Our home insurance covers your home and possessions, and we also can provide renters insurance, landlord insurance, condo insurance, and rental insurance to fit your individual needs. If you plan on opening a business in Leesburg, our business insurance includes liability, and we also provide commercial property insurance for your actual building. Our flood insurance can be used for either your commercial property or for your home to protect you and your possessions. Finally, we can also provide you with health insurance and life insurance to protect you and your loved ones in case anything happens. Our staff has more than 38 years combined experience and can help you to secure the coverage that you need in any of these realms as well as others, including bonds and general liability insurance, at a price that fits with your budget. Request a quote online or call us today to find out how Lock Insurance can help keep you safe in Leesburg! Plant City, Florida is located in Hillsborough County with a population of approximately 34,000. It is located midway between Brandon and Lakeland, by Interstate 4. While most people believe Plant City was named for the fruits and vegetables, as well as tropical houseplants, that grow predominantly in this Gulf Coast climate, it was actually named for a prominent railroad developer, Henry B. Plant. It was given this name because the railroad founded by Plant significantly boosted the commerce to this area, incorporating it with the South Florida Railroad and allowing it to ship out more of its agricultural goods. While it originally was a large cotton center, Plant City changed its primary crop to strawberries and gained recognition as the winter strawberry capitol of the world. Because of this, it hosts an annual Florida Strawberry Festival in February or March every year, which is attended by not only local Floridians but people around the world. If you are considering moving to this great agricultural town, you will need to look into insurance – whether for your home, for your business, or for your other property. Lock Insurance can offer a quick insurance quote for a number of plans – in regards to your home dwelling alone we offer a variety of services, including homeowner insurance, landlord insurance, renter insurance, condo insurance, and vacant home insurance. The possibilities go on from there, with insurance for your actual work building or for worker’s compensation insurance, and a variety of insurance options to cover your vehicles, from boat insurance to RV insurance to your average car insurance. We also provide options of life insurance and health insurance. Once you decide what kind of insurance you need, Lock Insurance’s representatives will help you find the best policy at the lowest price possible. With 38 years combined experience, they are more than qualified to answer your questions. So call today and head on your way to worry free insurance in Plant City! When people here Zephyrhills, they almost always first think of the water company. 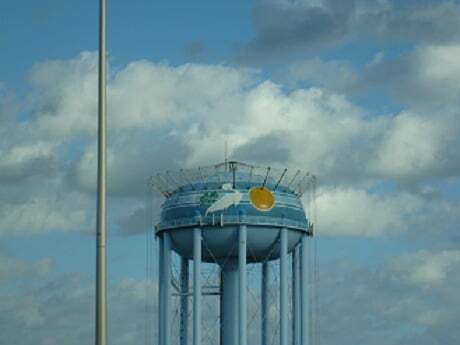 While this town located in the Tampa Bay area is home to the Zephyrhills bottled water company, it is also so much more. It is home of the Zephyrhills Municipal Airport, which holds Skydive City, one of the world’s largest skydiving drop zones. It is also home to its own police department and fire department consisting of both career and volunteer firefighters. Overall, the city prides itself on being a friendly community that respects and embraces its heritage while still valuing the diversity of its residents and working towards economic growth and development while maintaining small town charm. Whether you are just moving to Zephyrhills or have been a lifelong resident, it is important to have the proper insurance. This could include vehicle insurance, whether for cars, boats, ATVs or motorcycles, or health and life insurance to keep you safe. As for property, you might need homeowners insurance, landlord insurance, renters insurance, vacant land insurance, condo insurance, property insurance, or vacant home insurance, depending on your situation. If you plan on contributing to the economic growth of Zephyrhills by having your own business, Lock Insurance is also here to help, offering property, business, and workers’ compensation insurance. The insurance agents at Lock Insurance have more than 38 years of combined experience in the insurance industry and will be glad to help you on your way to getting the right insurance coverage that you need. Dade City is located in Pasco County, taking up a total of 3.3 miles. It is home to a variety of antique tourist attractions, including historic restaurants and other historic architecture including the Pasco County Courthouse, Hugh Embry Library, and Crescent Theatre. It is also famous for its yearly Kumquat Festival, which is hosted downtown on an annual basis. The festival is held here because much of the surrounding land near Dade County produces tart kumquats, a type of citrus fruit that can be eaten whole. It is also home to the Osceola Tavern, which has been named one of the best 100 bars in Tampa Bay. If you love a historic town, then Dade City might be the right place for you to settle. But if you are moving to Dade City, it is important to have the right insurance. The insurance experts at Lock Insurance have more than 38 years combined experience in the insurance industry, and they can help you figure out exactly what insurance is right for you. For your home, they offer property insurance, homeowners insurance, and other types of insurance including landlord, renters, vacant land or home, and condo insurance. If you are thinking about starting a business, no matter the size, you will need insurance, which is why Lock Insurance also offers business insurance, workers’ compensation insurance, and others. Babson Park, Florida, is located within Polk County. A small town with just over 1,000 residents, Babson Park is part of the Lakeland-Winter Haven Metropolitan Statistical Area and home of Webber International University, a private higher learning institution set overlooking Crooked Lake. Founded in 1927 as the first private college under Florida’s education laws, Webber International University was also one of the first business schools in the nation for women. So whether you are considering moving to Babson Park in order to continue your education or to just enjoy the lovely small town feel and warm Florida weather, it could be a great decision for you. No matter if you have just moved there or have lived there for awhile, it is important to keep yourself properly insured. Lock Insurance is here to help, as its representatives have more than 38 years combined experience in the field, and are happy to help with a variety of types of insurance. Need car insurance? They have it. They also have a variety of other vehicle-related insurance, including boat, motorcycle, and ATV insurance. They also offer business insurance, including property insurance, liability insurance, and workers’ compensation insurance. Finally, they offer various types of insurance for where you live or other residential property you own, including homeowners insurance, landlord insurance, vacant land or home insurance, condo insurance, renters insurance, and general property insurance.